Charles Moore is the official biographer of Margaret Thatcher, former editor of the Daily Telegraph and an Old Etonian. He has nicely epitomised the indifference, evident intentional ignorance and convenient innumeracy of a particular type of Conservative. Writing in his column in ‘The Spectator’ magazine (May 4th) he devotes a mere 262 words to writing-off the problems of those on low incomes in Britain. These people recognise that being on welfare is — in effect, though not morally — like having a job. There is a wage for it, plus various equivalents of overtime and fringe benefits, and the task is to get as much of these as you can. One effect of this has been to destroy the working class. Its more enterprising members have become middle class and the rest have discovered that they can live by not working. At a stroke of his expensively-educated pen, Moore dismisses the existence of all those struggling to make ends meet in low-paid jobs. 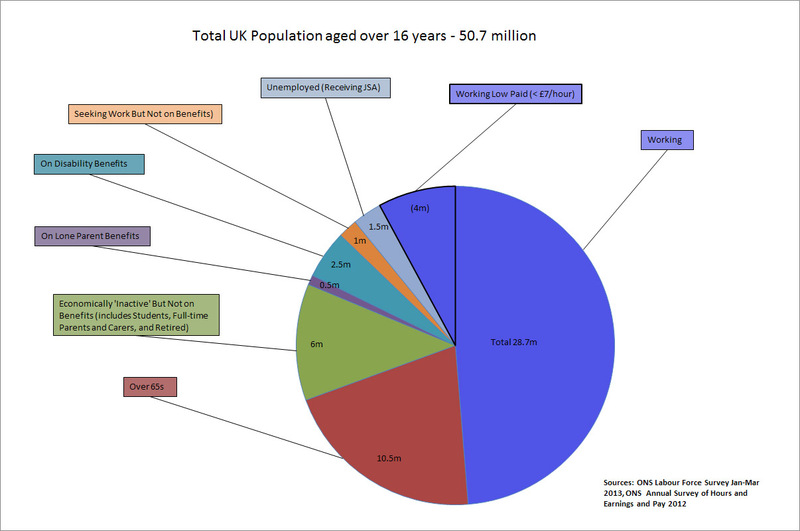 Four million Britons over 18 are in jobs that pay £7 per hour or less; seven million in ones paying no more than £8 per hour. (The minimum wage is set at just over £6.) They cannot reasonably be said to have joined the middle class, and if they could ‘live by not working’ they certainly choose not to. The essential point about welfare benefits, if they are not to have perverse effects, is that they should be lower. The only benefits which should be higher are those, most notably old-age pensions, which are contributory. Welfare benefits should be lower than what? Job-seekers’ allowance is £71 per week – or less than one third the minimum wage for a 40 hour week. If they should just be lower then presumably they should be something approximating to zero. In this case everyone would indeed have to ‘work’ even if that meant begging or scavenging on rubbish dumps. Note that Moore doesn’t justify this approach on grounds of affordability but in ‘perverse effects’ – presumably those of trying to eke out some sort of self-determined existence in the face of adverse circumstances. Indeed, he goes on to display utter economic illiteracy even beyond his biographical subject’s nonsensical comparison of government finances to household budgeting. Since old-age pensions account for a hugely greater part of the welfare budget than out-of-work benefits (there are after all 10.5 million pensioners against only 1.5 million claiming job-seeker’s allowance) increasing pensions significantly would have a massive effect on state finances – unless of course Moore is advocating increases in contributions through National Insurance or taxation, which would seem unlikely. Of course contributory benefits are a no-brainer in the sense that if you can put in earlier what you take out later this has no impact on anyone else or the government finances. What requires rather more thought than Moore and his ilk are inclined to give it is what we do for those destined for the bottom end of the labour market – people with whom Moore has clearly had no meaningful contact. Many of these people at various times cannot find work, most can only find low-paying, insecure and menial work and some pretty much fall out of this cycle altogether. Their ability to make ‘contributions’ to their own future is almost non-existent. Should they be punished for this? In Moore’s view, the answer is clearly yes.